Maricopa Resident William “Wilz” Prentice is one of an estimated 5,000 people living in Maricopa who are deaf or hard of hearing. 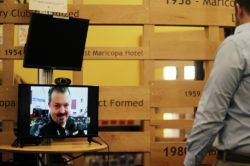 Prentice, who was born deaf, demonstrated Monday morning new technology that could revolutionize telecommunication for the Deaf and Hard of Hearing community in the city. 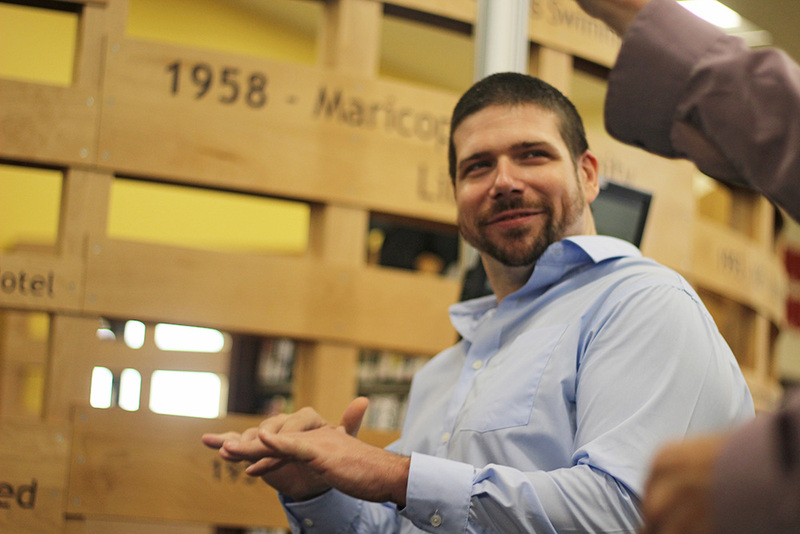 The service was launched by the Maricopa Public Library Aug. 20 and is free to the public. 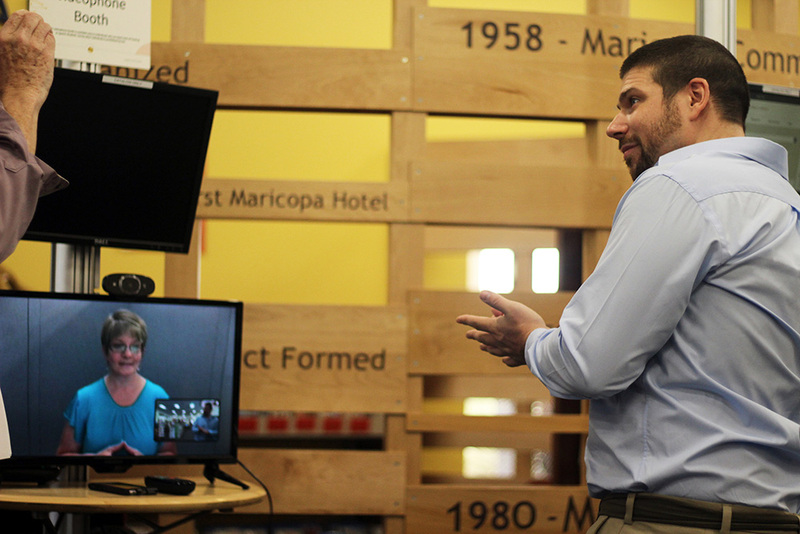 The new VideoPhone program aims to make communication services for those who use American Sign Language more accessible. “This makes it a lot easier, a lot faster to communicate than the old TTY system,” Prentice said through an interpreter. Considered outdated, TTY technology utilized phone and text through an interpreter to communicate. The service was complicated and required its users to have regular access to the equipment. The new VideoPhone services at the library allow anyone to place video calls through their smart phone or on the library’s computer outfitted with a webcam to anyone in the country. 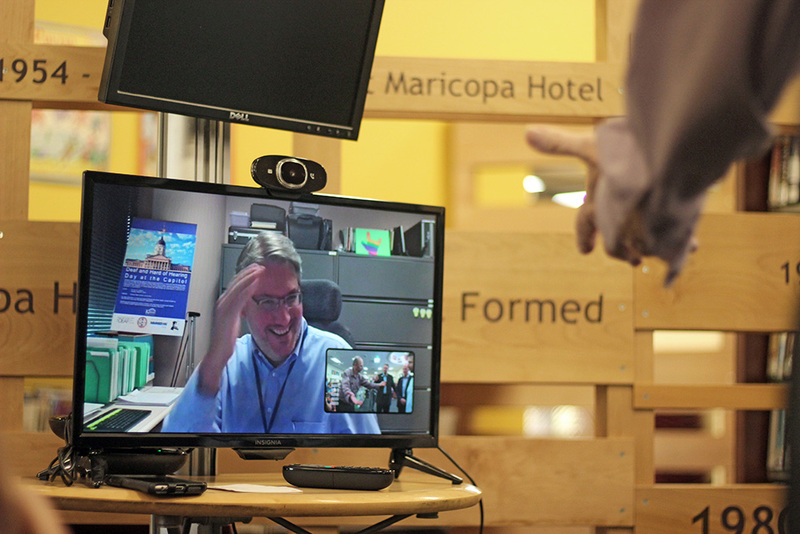 An interpreter, appearing by video, is available on the other line for calls placed to someone who does not use ASL. Cindy Price is fluent in ASL and assisted in interpreting conversations during demonstrations Monday. 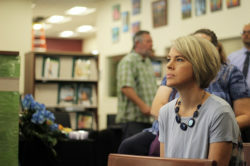 Price said the free VideoPhone service is one less barrier for the Deaf and Hard of Hearing community. “Having access at the library is great because if they really need to communicate, they can come here. It’s free. 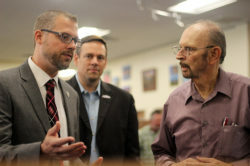 They don’t have to have additional resources so it’s actually a great equalizer for them,” Price said. 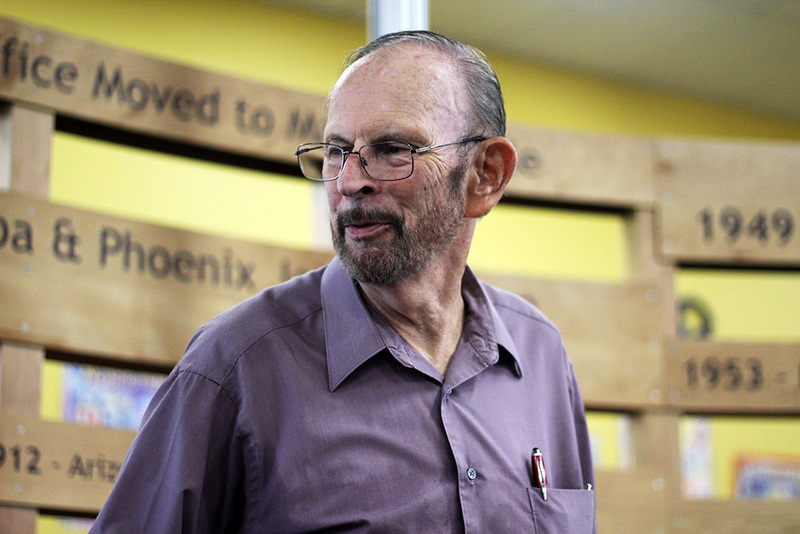 Fred Greenspan, who is hard of hearing, spearheaded the effort to bring VideoPhone services to Maricopa. Greenspan believes the new program will help those who don’t have videophone ability on their cell phones and those hunting for a job. 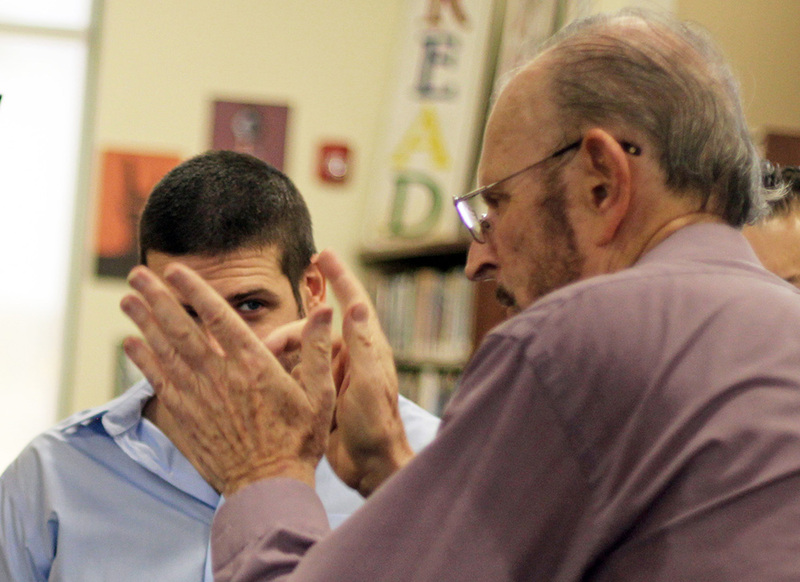 “A person who is deaf can do anything,” Greenspan said. 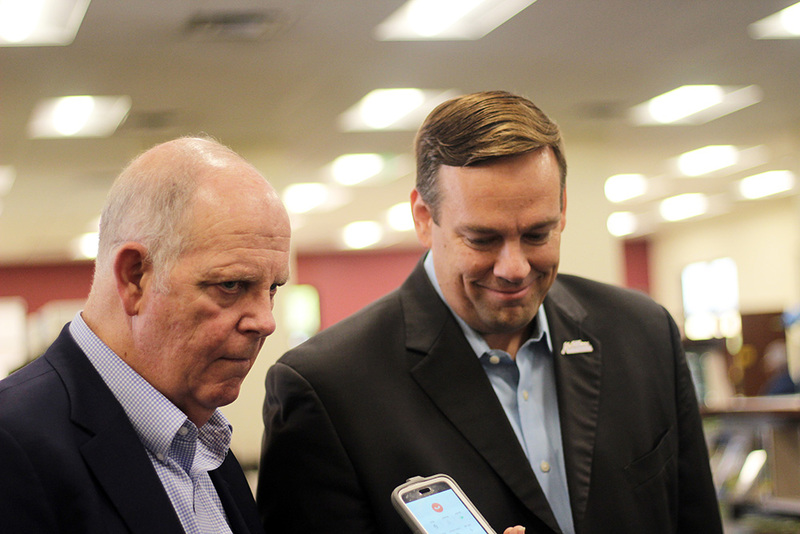 An advocate for the Deaf community, Greenspan directed local politicians to try the technology themselves, including Congressman Tom O’Halleran, Pinal County Attorney Kent Volkmer and Mayor Christian Price. Calls were placed to O’Halleran’s office in Washington, D.C., the Kansas Commission for the Deaf and Hard of Hearing in Topeka, and others. 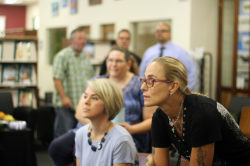 Volkmer and Casa Grande Public Library Manager Amber Kent expressed interest in implementing the service throughout Pinal County. The program is paid for by taxes on phone bills. 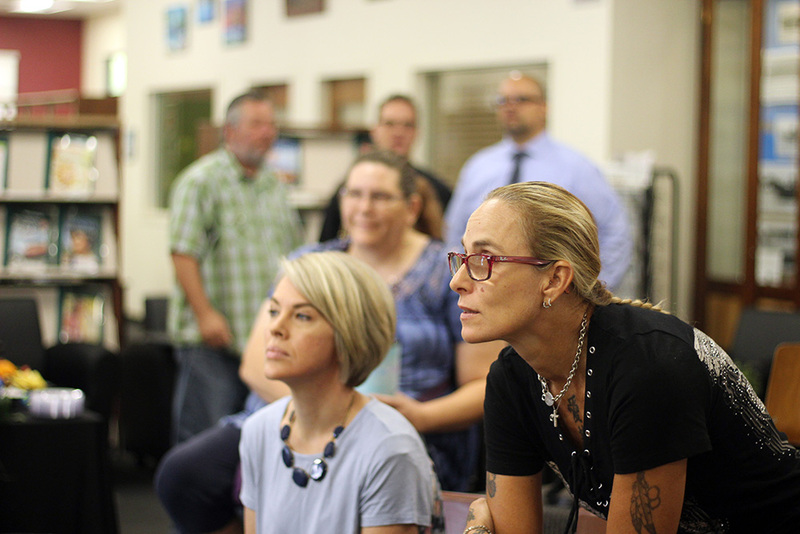 The presentation, the first of its kind locally, was educational for many. 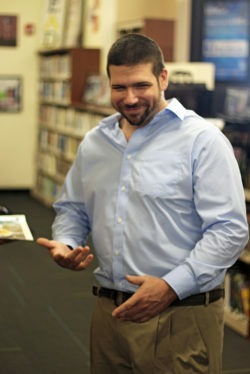 System instruction is available during Library hours: Monday-Thursday 9 a.m.-7 p.m. and Friday-Saturday 9 a.m.-6 p.m.